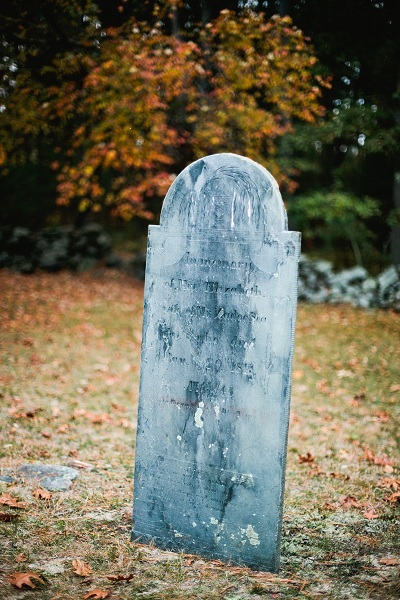 October 25, 2012 – Here’s something everybody should do in October: Search online to find the most haunted cemetery in your state (or town if you’re in one of those states that go on forever), and then visit it. Doesn’t matter if the consensus comes from a ring of Angelfire sites or forums that haven’t been updated in 10 years. Also doesn’t matter if you don’t believe in ghosts. Because you’ll still have a good time. When somebody tells me a place is haunted, I want to go see it. Not because I either believe in ghosts or care about disproving their existence. It’s because there’s probably an aesthetic or historical reason why somebody would pick that place to posit poltergeists. It other (non-alliterative) words, chances are the site has some good ambiance, some stories connected to it, or is otherwise interesting. Because people don’t call bland places haunted. Or, at least, the most haunted. 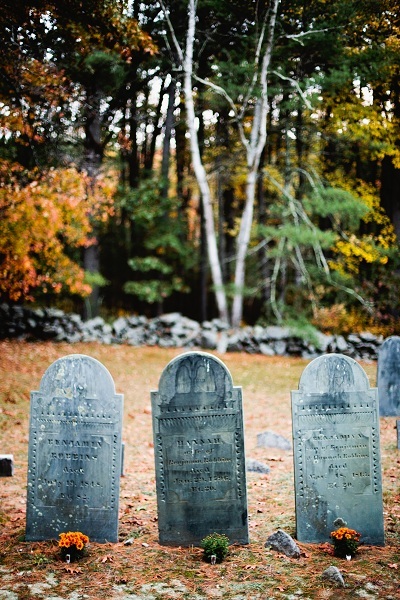 Plus cemeteries are the most Autumn places on the planet. They often have foliage. They have atmosphere. They have their own Halloween decorations. They’re intrinsically classic horror movie settings. Everything you need for the perfect October experience, except maybe a cider vendor. 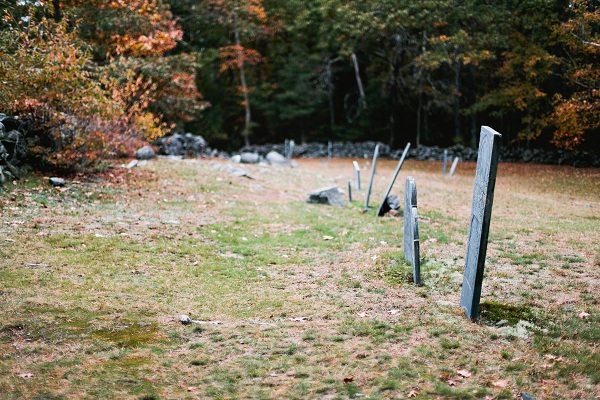 Google tells me that in my state of New Hampshire, Pine Hill Cemetery, known locally as Blood Cemetery, is the one. But I’ve already posted about that Hollis rot plot back when I though making a low-quality, three-minute video would be less work than writing a thousand words. 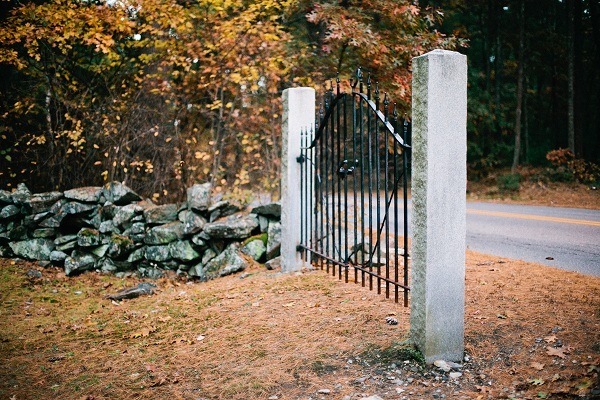 However, a close second seems to be Gilson Road Cemetery in Nashua. And it happens to be about three miles away from where I live. We dropped by one evening a few days ago to see it in October so that the first paragraph in this post wouldn’t by hypocritical. 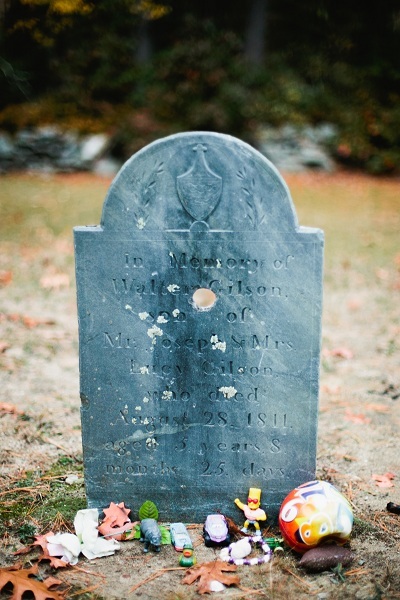 Gilson Road is a tiny cemetery right across its namesake road from a housing development. It’s about the size of, I don’t know, a small go-cart track and is lined by a loose rock wall. It parallels the road lengthwise, with its three other sides surrounded by forest. That means it’s a cemetery full of odd noises…and where anybody can sneak up on you. There are so many ghost stories about it online, that it crowds out any of the history behind the cemetery, if it even has one recorded. And the ghost stories are the usual sort. Nothing real creative. White ladies and dark presences, Native American and colonial ghosts. Orbs and whispering. Ghosts are pretty predictable it seems. 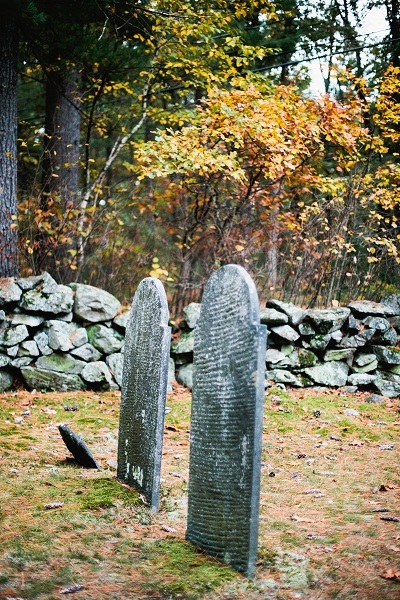 There were only a handful of headstones, some dating back to the 1700s. Others had fallen over and were barely surfacing from the dirt that had already consumed the bodies and was now working on the markers. In fact, about three-fourths of the cemetery was bare ground, intimating swathes of unmarked graves and long-gone tombstones. Two plots stuck out from the others. One is marked by a headstone with a perfect hole through its center, as if somebody wasn’t just content with shooting the interred to death, they had to shoot the gravestone to death, too. The other bore a row of three infant tombstones, each labeled “Baby” and a surname: Gilson, the namesake of the road that became the namesake of the cemetery. 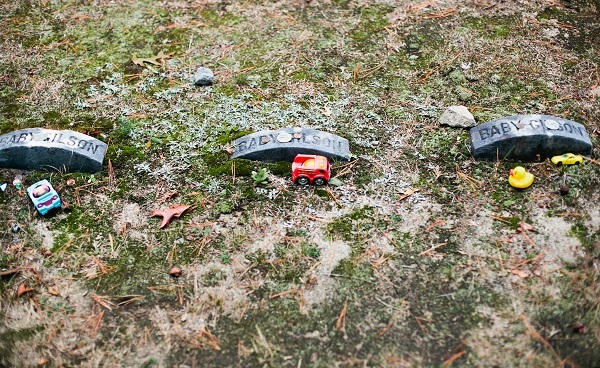 Both this trio of tragic graves and the perforated one were covered with toys when we visited. All in all, it was a great place to spend an hour of Autumn. And while the fabled-on-the-Internet ghosts were more scarce than scary, two teenage girls came by during out visit who were doing exactly what we were doing. Looking for a spooky cemetery.